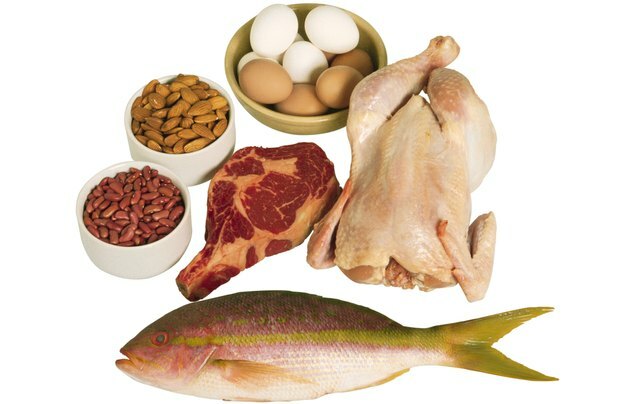 Protein contains essential amino acids needed to maintain many aspects of your health, including regulating growth and development and supporting lean muscle mass. Unfortunately many good sources of protein are also high in fat. Fats that come from animals, such as saturated fat and cholesterol, can contribute to elevated cholesterol levels, heart disease and stroke. Choosing lean meats and other low-fat protein sources helps you get the amino acids your body requires without the added fat and calories. Beans are one of the best fat-free sources of protein. Most beans contain 14 to 17 grams of protein and less than 1 gram of fat per cooked cup. Consider increasing your intake of garbanzo beans, black beans, kidney beans, pinto beans, lentils and soybeans. Tofu and tempeh made from soybeans are also low-fat sources of protein. 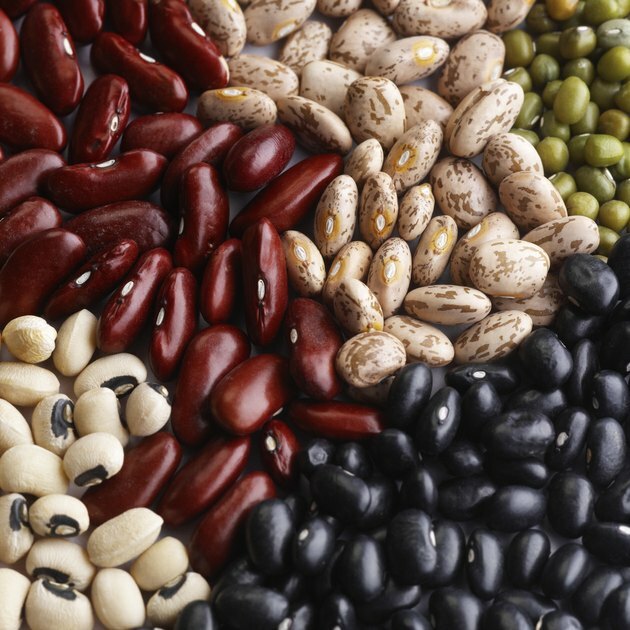 In addition to protein, you'll also get essential dietary fiber from eating beans. Use beans instead of meat to make healthy chili, soups, stews, burritos and curries. They're also a great salad topping. 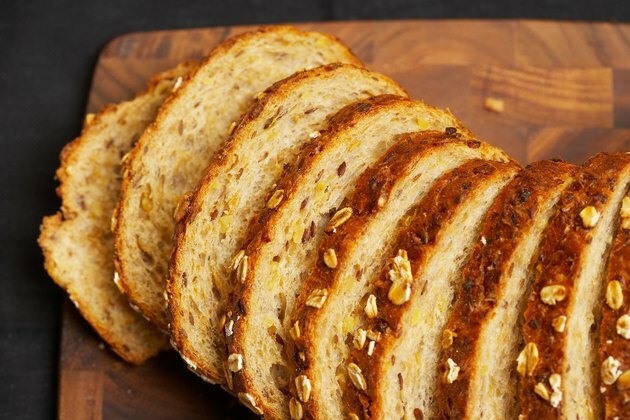 You get protein without fat from whole-grain foods as well. Quinoa and teff are two of the grains richest in protein providing 8 to 10 grams of protein and 2 to 3.5 grams of fat per cup cooked. Quinoa can be used in place of brown rice, and teff is commonly ground into a flour for baking. Oatmeal is another good choice, providing 6 grams of protein and 2 grams of fat per cup. You can eat oats as a hot breakfast or bake them into muffins and bars. Couscous, buckwheat, millet, brown rice and whole-wheat foods also provide low-fat vegetarian protein. Many animal products provide a lean source of protein as well. Select cuts that have the least amount of fat, skin and bone present. 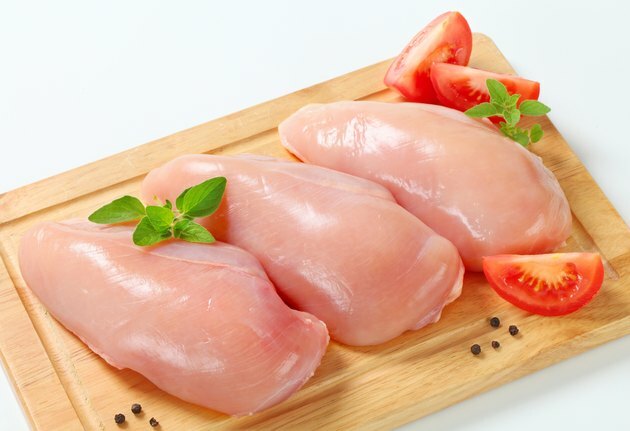 Boneless, skinless chicken breast is an excellent choice providing 27 grams of protein and 3 grams of fat per 3-ounce portion. Select ground beef labeled at 95 percent lean and you'll get 23 grams of protein and 5 grams of fat per 3-ounce serving. 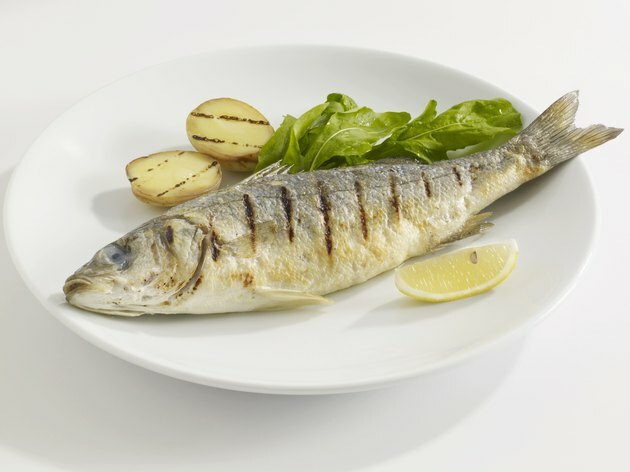 You can also select many types of fish or seafood for low-fat protein. A 3-ounce portion of bass, carp, cod, flounder, haddock or halibut provides you with 15 to 20 grams of protein and 1 to 4 grams of fat. Clams, mussels and scallops give you 15 to 20 grams of protein and 1 to 4 grams of fat. Just be sure to steam, bake or grill these seafood options to keep them low-fat. Using a protein supplement is another way to get additional amino acids without much added fat. 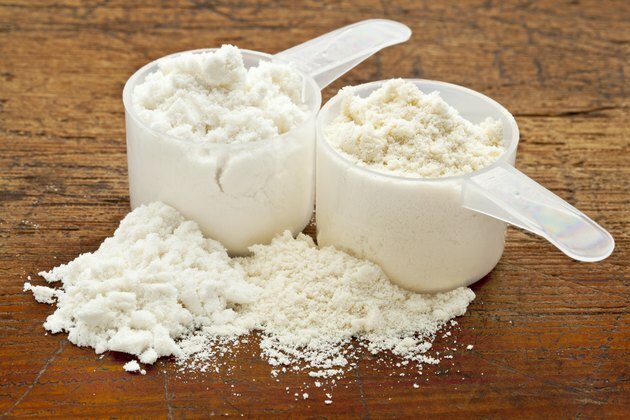 Read the label of protein powders to determine how many grams of fat and protein you get per serving. Many contain over 20 grams of protein and less than 3 grams of fat per scoop. Mix the protein powder with low-fat or skim milk to get the most protein with the least amount of fat per serving.